First up, I got a book deal. As you probably know, I have three self-published books out now but I never really did anything about getting an agent or a publisher unless you count four emails to agents/ publishers which is a pretty pathetic effort really. I like self-publishing and I like to get on with an idea, write it, publish it and market it. Job done. Around last April, I signed with Dominic Perrem and Vanessa Fox O’Loughlin of The Rights Bureau. I’ve known Vanessa for years and it didn’t take me long to say yes, let’s go for it and see what happens. 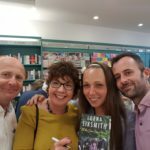 Although my books have sold well in Irish bookshops, I knew I needed a UK publisher to get my books in front of more people. 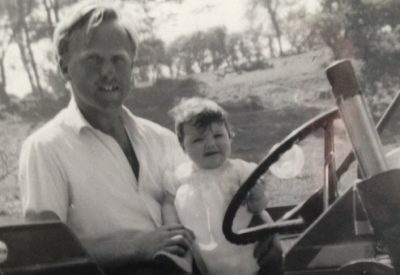 To cut a long story short, I signed a deal with Black and White Publishing for a childhood farming memoir, focusing on my dad’s childhood here when they moved to Garrendenny in 1946, my childhood here and I’m including some stories focusing on my children’s experiences too. 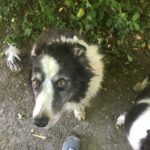 A mixture of farming history, nostalgia, humour and lots of animal stories thrown in for good measure. I sent off the MS to the publishers on 22nd December and will be tackling the edits from mid-January. The plan is to publish it in mid May, yes, purposefully sandwiched neatly between the end of the calving season and silage making. The title will be Till The Cows Come Home and it’s got a nice little bit of publicity in the run up to Christmas. I met the publishers when they were over in Dublin in November and it’s going to be so lovely in many ways to hand over so much of the work involved in producing a book: the editing, the book cover design, the formatting, the launch, the marketing. All I have to do is write and edit and be available if anyone wants to interview me. And of course, rather than funding the editing, book design and printing myself, I get an advance. It’s going to be interesting to be a hybrid author. I’d have found it very difficult to hand over control of my existing books but it’s going to be fascinating to compare the two processes and how one helps the other in terms of sales as well as finances. 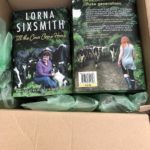 I did another print run of 1000 books of How to be a Perfect Farm Wife just before Christmas and while I know they will sell, it all takes time to see the return on the expense. You may remember me mentioning I was working on a book researching a girls’ boarding school, concentrating from 1909 to 1973 when it amalgamated with Kilkenny College. 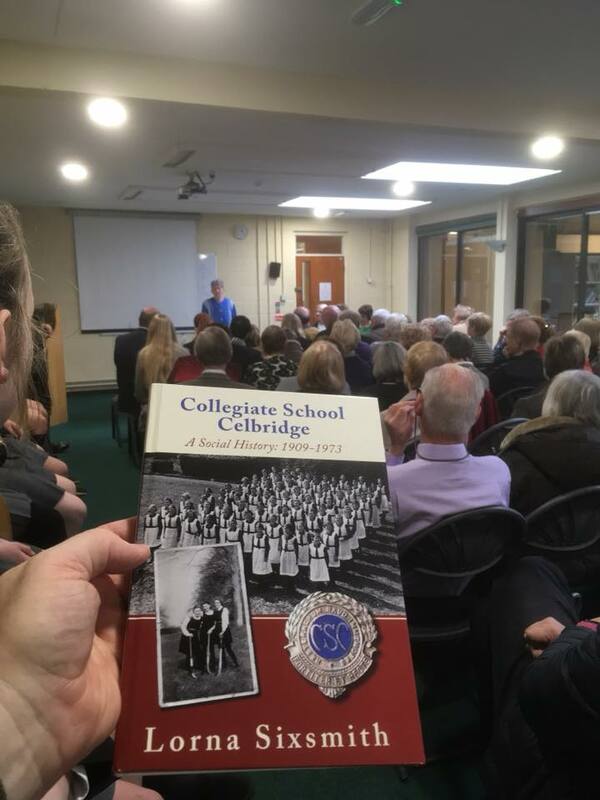 Well, the Collegiate School Celbridge was launched in the school on 14th December and although most of it was done by September, the finishing touches seemed to go on and on. I did enjoy it though and feel I’ve produced a book that I would enjoy reading. I didn’t want it to be a book that just listed what the girls did, I wanted it to show their vitality, how they circumvented the rules to some extent, and to include some humour as well as the wealth of stories. I think my overall favourite story was from Irene Kilpatrick. Her answers to my questionnaire arrived one morning when I really was stumped regarding the structure of the book and if it was going to be any good or not and they made me cry with laughter. This is an example of one of the many stories. Girls were limited to one hair wash a week and even less if they had been ill with a headcold or similar. A list was pinned up every Saturday and it had to be strictly adhered to. However, girls got up extra early to wash their hair but then there was the problem of drying it, as after all, the proof was in the wet hair and this was way before hair dryers were available. Many sneaked into the kitchens and stuck their head in the oven to dry their hair! Irene though, did something different. After washing her hair, she decided to style it as she was going out with relatives that Sunday so she pinned curlers into it and then sneaked into a classroom, putting on the Superser heating and kneeling down in front of it. She was enjoying the warmth and was in a world of her own when she smelt something strange. She put her hand up to her hair and discovered her plastic rollers had melted. She had to cut them out! Needless to say, her hairstyle caused a bit of consternation that morning. The book contains many original poems and stories by pupils as recorded in their The Celbridgite magazine. It was such a treasure trove really as it revealed so much about school life – from poems about the ghost Stumpy who emerged in the first year dorms at Hallowe’en to the dreaded mending classes on Saturday morning to the hockey matches and dances with theboys from the Kingston Boys school. I haven’t any photos as yet from the launch (the above is by Paul Cuddihy) but a photographer attended from the Kilkenny People so hopefully it will include some of them soon. It is €15 from Kilkenny College (€25 to include p&p to any address). Okay, this is me being a proud parent and I thought I might even have a photo to share too but they’re not available yet. Both of the kids got prizes at the secondary school prize day. As someone who never got a prize (unless you count the sixth year one for “most improved in Irish” which only happened as we got a new teacher who knew we were all useless and shortened every story for us and provided us with sample answers and I knew if I learnt them off, I’d scrape a pass), I was really proud of both of them. I was delighted to be a finalist in the “non fiction” section of the second year of these awards with An Ideal Farm Husband. I’d won that category last year with How to be a Perfect Farm Wife so to have done so well with both books, I was over the moon. In Ireland, artists (writers, sculptors etc) are allowed to earn up to €50,000 tax free for earnings from sale of books but there’s a huge but. The books have to be fictional or if they are non fiction, they have to meet certain criteria such as be autobiographical, original and creative, have cultural or artistic merit, be literary criticism, be a pioneering work etc. My application for Would You Marry A Farmer? was refused and I decided to appeal. It was judged to be a self help book and while I could understand why someone might think that initially, I thought there was way too much humour in there for anyone to take it really seriously. Yes, there were tips based on my own experience but some of them needed a pinch of salt. Apart from the fact this decision was costing me money, I was amused, I don’t read self help books and without realising it, I’d written one, albeit it a humourous take on the how-to, self-help manual. 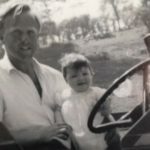 The thing is, the book was such a mix – it was historical, it had some analysis of literary works, it was autobiographical, it was a real mish mash but I decided to have a go with the appeal. To cut a long story short, I had to go before an Appeals Commissioner (the court was a little bit like the one on Judge Judy, except I was able to give my say from my seat rather than taking the stand. Yes, I wished I had brought someone with me, it was way more formal than I thought it would be) and state my case. I brought snippets from reviews as Des Kenny of Kenny’s Books (such a gentleman) wrote me a lovely review as did a few others. For those who know Des, his opinion is king amongst all in my humble opinion and he said “Whereas [the book] is couched in apparently satiric terms, it does give an insight into the realities of a woman’s life in rural Ireland in a significant and meaningful way and can equally be categorised under the headings of Sociology, Rural Studies and Gender Studies”. I left thinking I hadn’t a hope but decided nothing ventured, nothing gained, it was an experience and only cost me a day and a train fare, albeit that I needed lots of chocolate afterwards to cope with the stress. The reason I am sharing this with you is I eventually got word during the autumn and I’ve been granted the Artists Exemption Status for that book. But that’s not all and I know I’m boasting here but the Appeals Commissioner wrote such wonderful things about my book, I’m going to share a few of them with you. This was my first book and I’d kinda consider it to be my weakest. He concluded that the majority of the book is a work of autobiography although not presented as a “conventional” autobiography. 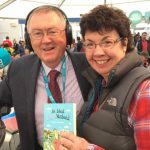 He also wrote that my book was the result of my unique insight into and understanding of farming life in Ireland so therefore it ticks that box; it is pioneering and it casts new light on the life of spouses of farmers. He also said it has cultural merit, is original and creative, and “while presented in a light-hearted and accessible manner, the information contained therein is serious, relevant and thought-provoking, and constitutes a worthwhile piece of sociology. My little book – cultural merit, pioneering and conveys new insights. Now, that was worthy of a celebration I can tell you! I was chuffed to bits to hear a complete stranger, tasked with analysing my book, had come to those conclusions. 2018 is around the corner. 2017 passed in a whirlwind. This time last year I knew I was going to be writing the boarding school book but I really wasn’t sure what farming book would be next. 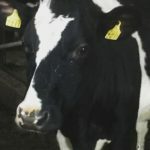 I have a list of ten ideas for more non-fiction farming books and I also have ideas for a novel and for some short stories so I’m really not sure what will be next. The huge advantage of having an agent though is that I can write a proposal and sample chapters and see if they get any interest before I commit to writing and editing the whole book. 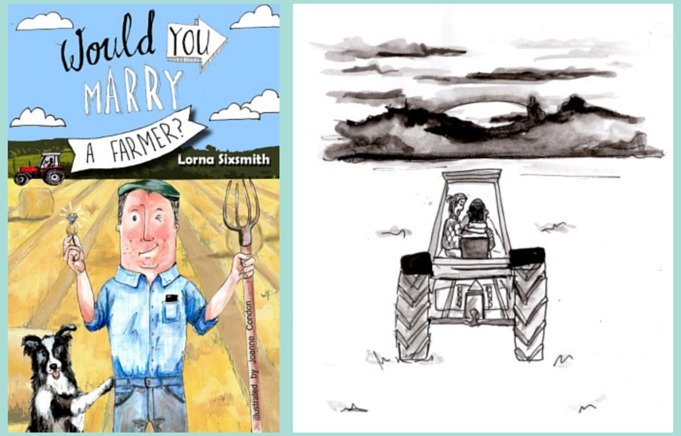 I intend to write up proposals for three short fun farming books and if they don’t get any interest from publishers, I may still self-publish them. I had toyed with the idea this year but then ran out of time once the other book happened. I know 2018 will be just as busy as 2017. I shared some of my ambitions on a feature in Laois Today. I’m doing more on the farm. Till The Cows Come Home will be out in May but after that, who knows what book will be next and that, to me, is hugely exciting. Calving is going to be busy again but hopefully we’ll get more breaks during the year – more of working hard and playing hard perhaps. Happy new year everyone and I hope 2018 is good to you. 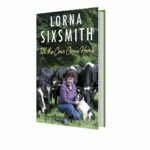 Congratulations Lorna, glad to know I had a hand in it, so to speak- pardon the pun. We must get you in to talk to our Heritage Group at a time of your convenience . Your Celbridge Social History is now in Milan presented to an enthralled former student. It’s a really fine book, capturing a way of life now largely gone. Loved reading this – so refreshing to read good news! Great to see you getting all the success that you deserve. A bright 2018 ahead???????? Thanks June, hopefully 2018 will be busy and interesting. Happy new year to you and yours.